On Wednesday the 13th of November 2013 the children of 6th class took part in their Confirmation Commitment Ceremony. It took place in the school hall and all 20 children and their parents and siblings attended the event. Each child had a part to play in the ceremony and all the children acquitted themselves very well on the night and everyone is really looking forward to the Confirmation which is set for next March. On Wednesday the 19th of March the 6th class pupils of Coachford N.S. had their Service of Light in preparation for their Confirmation on the following Tuesday.The children had prepared diligently for numerous weeks coming up to the occasion. Many weeks had been spent practicing readings and learning hymns and each of the twenty children performed extremely well on the night. The children themselves have worked extremely hard in the run up to the Service of Light and they are all really excited about making their Confirmation next week. 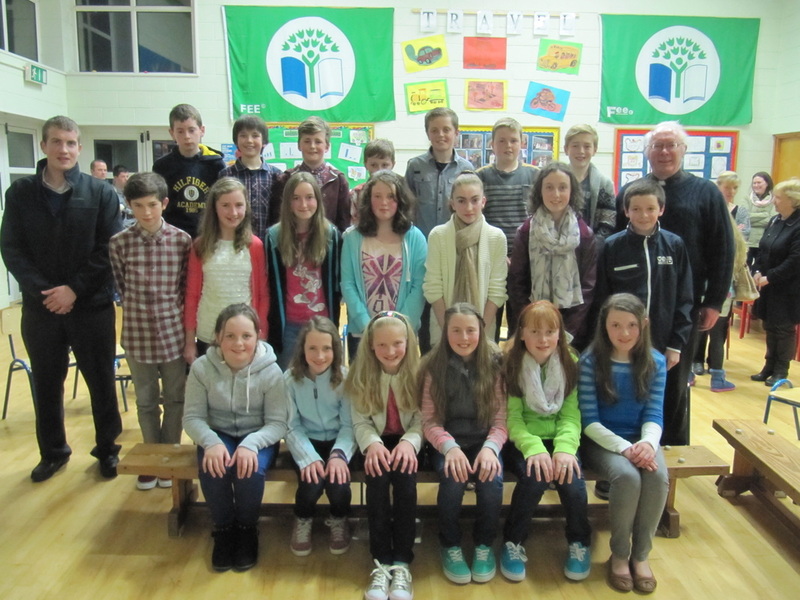 The Confirmation Ceremony for the Parish of Aghabullogue took place on Tuesday the 25th of March. Thirty five children from Coachford N.S., Rylane N.S. and Aghabullogue N.S. were sealed with the Gift of the Holy Spirit. Months of preparation went in to the event as children learned all about the fruits and gifts of the Holy Spirit. The children also learned about famous world icons who lead by example such as Mother Theresa and Martin Luther King Jr. The children also learned over twenty songs for the day and spent weeks practicing their readings and songs. Every child had a part to play during the Confirmation and this year the Confirmation was hosted by Coachford N.S. in St. Patrick's Church, Coachford. It was fantastic to see families and friends present in the church on such a special day for the 6th class children. The 6th class children can now look forward to their annual retreat in the third term.